Once a debt evolves into a judgment lien, it is very rarely eliminated unless it’s paid in full. 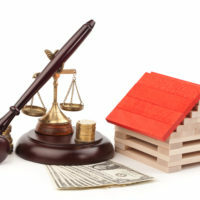 There is, however, one narrow exception to this rule when it comes to judgment liens against your home. Read on to learn more about judgment lien avoidance in a New York bankruptcy, and contact an attorney as soon as possible if your home has been subjected to a judgment lien. There are a number of reasons that you should act quickly to address mounting unpaid debt, but one of the most important is to avoid allowing unsecured debt to become secured. While unsecured debt can typically be eliminated entirely with a Chapter 7 bankruptcy filing, secured debt that is attached to your property is much more difficult to avoid, and will most likely require payment in full or loss of the property that serves as the loan’s collateral. One of the rare exceptions to this rule is regarding judgment liens filed against your home, which may in fact be able to be erased with a bankruptcy filing. As a homeowner filing for bankruptcy, you will receive the bankruptcy homestead exemption that protects a certain amount of equity in your home. Depending on where you live in the State of New York, the amount of the homestead exemption varies. If you live in Kings, Queens, New York, Bronx, Richmond, Nassau, Suffolk, Rockland, Westchester, or Putnam County, the homestead exemption is $165,550. Several counties in the Hudson Valley use the $137,950 homestead exemption; this exemption applies in Dutchess, Albany, Columbia, Orange, Saratoga, and Ulster counties. Throughout the rest of New York, homeowners use the $82,775 exemption. When filing for bankruptcy, if the amount of this homestead exemption would be impaired by a judgment lien against your home, then the lien can be “avoided,” or erased through bankruptcy. Let’s say you live in Dutchess county and have a home worth $450,000, and have accrued $100,000 in equity over the course of your ownership. A creditor has filed a judgment lien based on an unpaid medical bill in the amount of $50,000 against your home. Should you choose to file for bankruptcy, this lien could be avoided, as it would not be payable from your home equity without you losing a portion of the equity protected by the homestead exemption. Speak with a skilled bankruptcy attorney as soon as possible to find out if you may benefit from judgment lien avoidance by filing for bankruptcy. If you are facing mounting consumer debt and need help getting back on your feet financially, find out whether bankruptcy may be the right choice for you and your family by contacting the seasoned and dedicated Hudson Valley bankruptcy lawyers at Rusk, Wadlin, Heppner & Martuscello, LLP for a consultation, at 845-236-4411 (Marlboro), or 845-331-4100 (Kingston).